I recently read an article by Kevin Martineau about The Slippery Slope Of Compromise and I was reminded how true that is in the area of business cash flow management. The premise is that when you compromise once, it makes it easier to compromise the second time, and the third, until you are living a life of compromise. One of the things Kevin points out is that every step we take is along a certain path, and it is either on the path of compromise or the path of doing what’s right. It’s not that hard to do what’s right. It makes you feel better than a step in the compromise direction too. I find that business owners who are masters at justifying and making excuses for financial mis-management often will say they are going to change, but never do. Their financial condition worsens and they keep compromising their own personal integrity and explaining it away to themselves. Who are they harming by not telling themselves the truth? They harm themselves, their family, their company and all of the employees and suppliers connected to their company. It becomes the elephant that is always in the room, growing larger by the day, and getting harder to ignore. Spending money is easy. Anyone can master the art of writing a check or whipping out a credit card in a matter of minutes. It really doesn’t take any talent to do that. Putting money into savings may seem hard, especially when you are short on cash flow, but it is vital to your company’s financial security. It becomes easier when you save in smaller amounts on a weekly basis than trying to “catch up” at the end of the month. Spending wisely on things that increase production may not be as fun as shopping for things you want, but don’t really need, but if you think of spending as investing in your business and expecting a return it does become easier. Discretionary spending can become a bad habit. That is usually accompanied by an attitude that the income a company brings in is owned by the business owner. It is not. Your company is a separate entity from the owner(s) and using the company’s cash as a personal bank account, to the detriment of the company’s financial security, can ultimately cause a business to fail. Opening another company or location and cannibalizing the main company’s cash flow to put the new location on life-support can cause both companies to fail. Do the right thing and force the new location or company to make its own financial way or fail. If it is going to fail, let it fail fast without taking the original company down into financial insolvency with it. Not firing employees who perpetrate theft, or fraud, or produce shoddy work, because you have some weird belief that you can’t survive without them, can cause honest, productive employees to become disgruntled and quit. Get rid of employees who need to be fired, and do it fast. Withholding money from payroll checks for taxes, but failing to pay the taxes, and using the cash for something else is the most dangerous transgression because the business owner becomes personally liable for the unpaid taxes. The IRS can come take their company assets as well as their personal bank accounts, retirement accounts, house, cars, everything, and leave them homeless and destitute. No matter that the business owner believed their bookkeeper was paying the required taxes, the bookkeeper will not pay the price, the business owner will pay it because he/she “should have known” that the taxes were not being paid, and taken action to get them paid. There are many more examples too numerous to mention here. A business owner is not there to be liked. He is there to lead the company and ensure that the decisions that are made, no matter how tough, insure the survival of the company. He/she must command respect from every employee and supplier, but first he must respect himself enough to never compromise his/her own personal integrity. 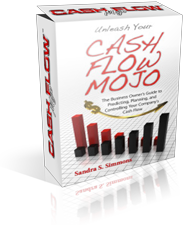 When it involves cash flow management, keeping your personal integrity intact, and always doing what is right, gives you the power to continue to do what is right, and to demand the same from everyone in your company. (2)managing a family business, brings with it some very interesting dynamics, throw in when the finance manager leaves, the founder / owner dies, this could lead to some compromise of cashflow and it is upto the business manager to stand firm and strong, though not easy to make the right decisions,that have long term value for the business, even if it means selling the business, to maintain your integrity. Those are both excellent points Chibwe, and something every business owner should consider when making cash flow management decisions.